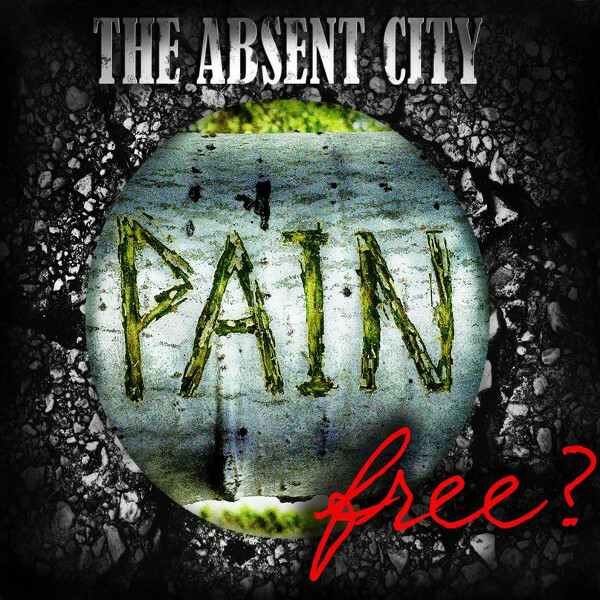 Exposé Online » Reviews » The Absent City - Pain Free? The Absent City is the solo effort by Ukranian bassist Alex Pustovit. Alex performs in jazz bands and has always been fond of old school progressive and psychedelic rock. Three years ago he decided to form his own prog rock band, but had difficulty finding like-minded musicians in his city of Donetsk. So he went the solo route and recorded everything himself in late 2013 using Mellotron, Moog, dirty recorded drums, and vintage guitar amps. Then war came to the Ukraine in 2014, causing Alex to flee, leaving everything behind. A few months ago Alex returned to Donetsk and resurrected his life and music, which he uploaded to iTunes, Amazon, Bandcamp, etc. Alex is now testing the waters to see if there is any interest in his music. His choice of band name is particularly poignant given what has happened in the Ukraine over the past few years and the album title Pain Free? embodies the impact of political aggression on the civilian population. There are five instrumentals on Pain Free? : “Despair Song,” “Life Motion (parts 1 & 2),” “Pain Free?,” “Just Rain,” and “Remission.” Alex has done a letter perfect job of recreating old school progressive rock. The music has a strong influence of latter day Pink Floyd, especially Alex’s Dave Gilmour-like guitar licks. Not content with sticking with a single theme or melody on each instrumental, Alex strives for more complex compositions. On “Despair Song” the introspective guitar solos alternate with raucous rock, all supporting the song title, and Alex pours his heart and soul into the solos. Some of the tracks tend to distort a bit because of not being professionally recorded and mixed. “Pain Free?” has fast scorching guitar runs, exorcising the pain he felt in his city. “Just Rain” opens and closes with the sound of rain and thunder washing away his troubles. And the album closes with the experimental and mournful sounding “Remission.” The fuzzed guitar and dissonant synths imply the current peace is only temporary. Overall, Pain Free? is quite good for a debut solo release. Alex has a lot of good ideas and potential that could be fully realized with a band and recording studio.